Abstact people template. Anonymous icon. 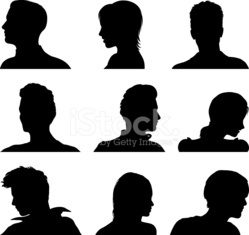 Vector silhouette of anonymous people. Anonymous mask and gear signs. Recycle bin. Maskman, incognito, anonymous, mysterious character icon. Avatar and person illustration.